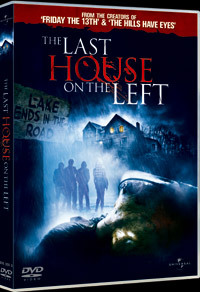 In 1972 Wes Craven entered the world of horror directors with his debut The Last House On The Left, a movie branded with notoriety across the decades. Craven perfected his craft and moved on to creating ‘80s and ‘90s hits in the shape of the Nightmare On Elm Street- and Scream franchises respectively. Amid the recent barrage of horror remakes (including Halloween, Prom Night, My Bloody Valentine et al), the re-take on Last House happens to be one of the more commendable, and had its original creators Wes Craven and Sean S. Cunningham on board as executive producers. While violent and terrifying, the film does address our moral duality in asking the question whether we are prepared to lower ourselves to the same level as the monsters that harm us and those we love, and whether we are able to live with the results of those actions. The choice of Greek director Dennis Iliadis was a well-calculated one, as his gritty take on realism pulls the audience into the lives of these characters, unlike the cheap teen-slasher flicks where viewers root for the killer, not the annoying screaming victims. 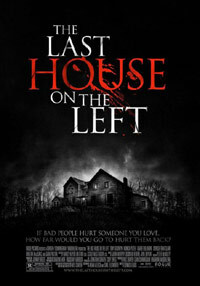 The new Last House On The Left was shot almost entirely in Cape Town, South Africa, the wooded Helderberg area doubling for the US. For my extended article on the movie as well as a feature on the South African make-up FX artist Clinton Smith (who created the amazing and gruesome special effects), see issue #282 of the international horror magazine Fangoria. While this South African DVD release is the "Extended Version Too Extreme For Cinemas", the extras are very thin, and only comprises a few minutes of behind-the-scenes footage and bloopers, and a very brief "look inside" with interview clips from original director (& exec producer) Wes Craven, and remake director Dennis Iliadis. PS. Craven’s original movie was actually based on the Bergman film Jungfrukällan (The Virgin Spring), which was in turn an adaptation of a medieval Swedish fable.